Table 1. Platinum 4f7/2 values. 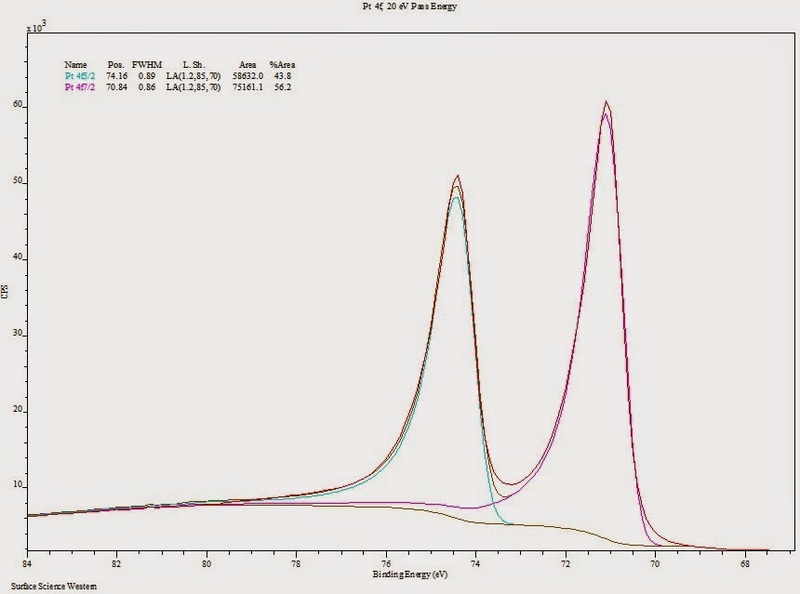 Note the Pt metal peaks need to be fit with an asymmetric peak-shape (in CasaXPS we use LA(1.2,85,70)). A CasaXPS ready file of sputter cleaned Pt metal can be downloaded here. This file also contains the valence band spectrum for Pt metal. Pt 4f7/2 - 4f5/2 splitting is 3.33 eV. Pt 4f for sputter cleaned platinum metal.